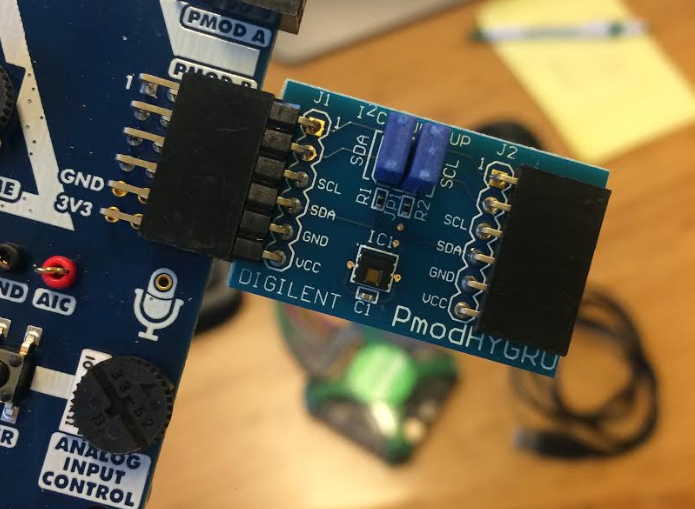 If you’re familiar with Digilent Pmod boards, you’ll know that they are mostly 6-pin or 12-pin add-on modules designed to plug directly into 12-pin female host ports on our system boards. 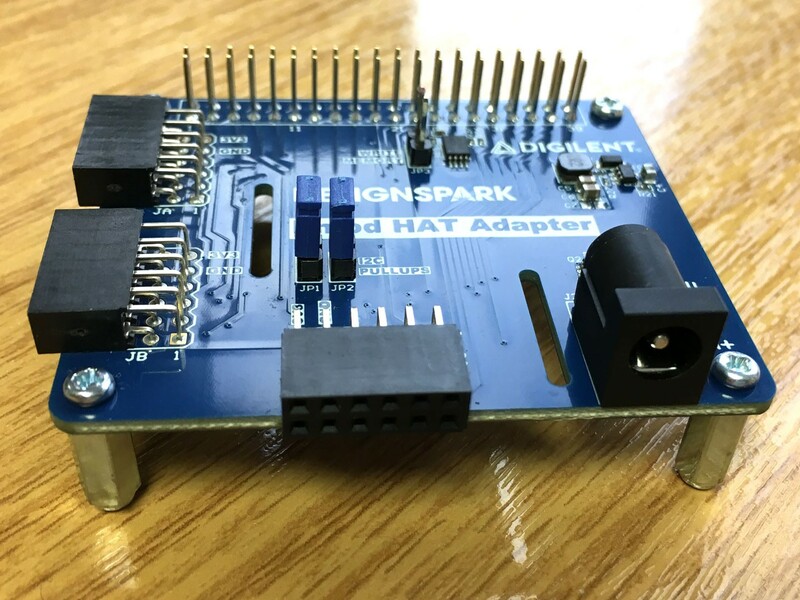 They use SPI, UART, I2C and GPIO to communicate. The Digilent Pmod Interface Specification specifies electrical and mechanical requirements for Pmods. If you look under the mechanical section of the current spec linked above, you’ll see that there is a definition for 2×4-pin I2C Pmods. The I2C mechanical standard has always been somewhat of the odd man out as 2×4-pin modules to not plug directly into host boards as nicely as the others. You can do it, but it’s admittedly a bit of a hack. That’s why we are soon releasing a new revision of the Digilent Pmod Interface Specification that is updating the I2C spec to be 6-pin with the standard SCL and SDA signals on pins 3 and 4, ground and power on pins 5 and 6 and optional interrupt and reset pins on 1 and 2 respectively. See the table below. Now I2C will no longer be the odd man out of the Pmod family! We’ve already starting designing new Pmods to this specification. For example, see the Pmod HYGRO below. 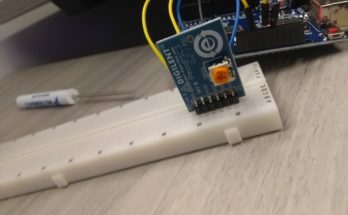 I2C Pmods are great for daisy chaining and will still maintain the ability to do so with the female 6-pin connector on the back. Keep an eye out for the new revision of the Digilent Pmod Interface Specification! It’s right around the corner! 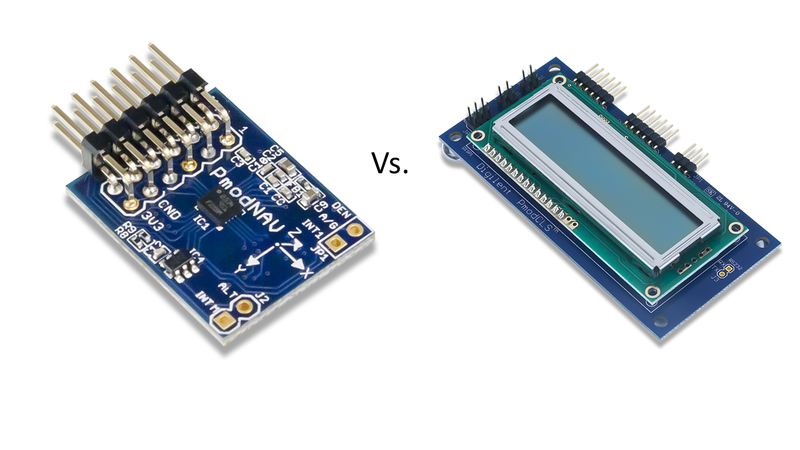 I’m not quite certain of this from your post; does the new I2C specification have the optional pins 1 and 2 be duplicated/passed through from the traditional male header to the female header, even if they are “NC” for a particular Pmod?